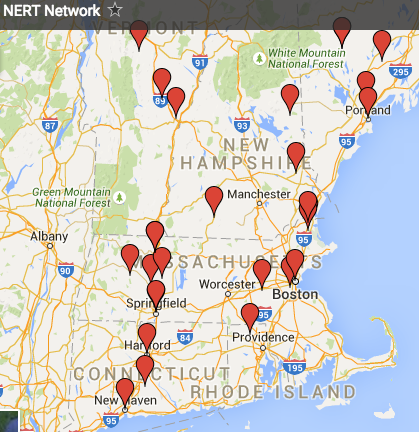 Below is a map of the NERT Network. To join NERT, click here! All groups working on our issues are more than welcome. For a much more comprehensive map of grassroots activity in New England, visit the New England Grassroots Environment Fund (scroll to the bottom of the page for the map).